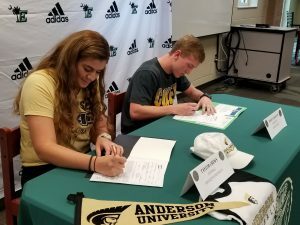 Two Easley High School seniors participated in a signing ceremony at the school on November 15h to commit to their respective college athletic programs. Parents, coaches, and school administrators were in attendance. 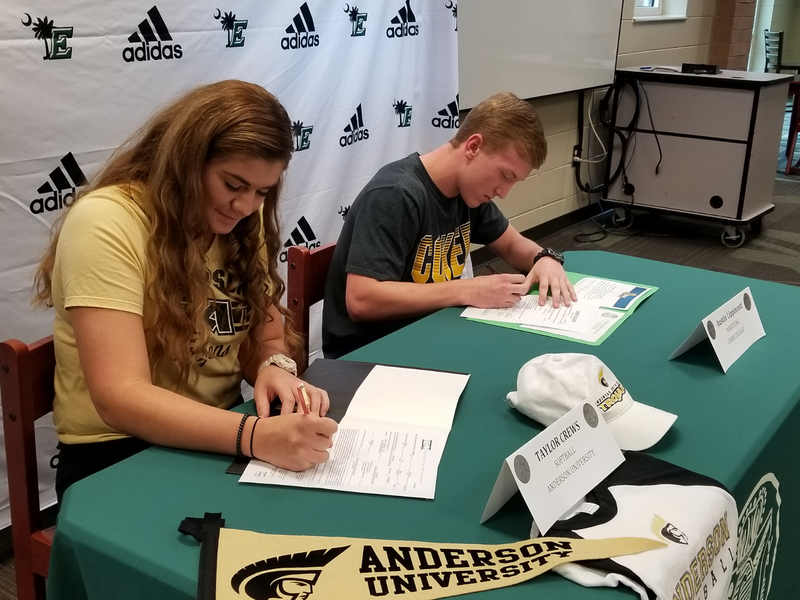 Taylor Crews will be attending Anderson University next year to play softball while Austin Lippincott will be headed to Coker College to wrestle. Please check out the photo gallery below for more pictures from this great event.